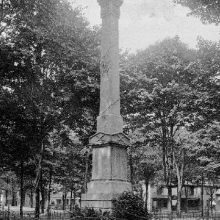 During the Civil War, the state of Pennsylvania contributed 320,000 soldiers to the Union cause, second in numbers only to New York state. 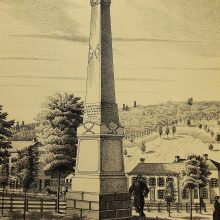 In 1864, three years into the conflict, the counties of western Pennsylvania, Ohio, and Virginia (now West Virginia), conducted a public competition to see which could raise the most money for the war effort. 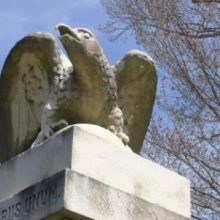 The winner would be gifted a thirty-foot-tall marble memorial shaft with an eagle perched atop. Venango County in northwestern Pennsylvania won the competition. 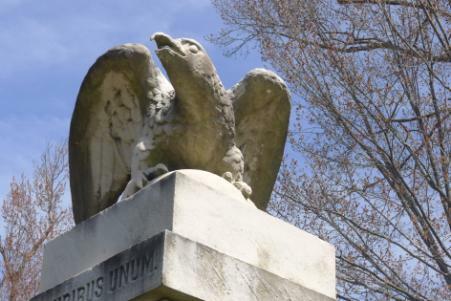 The marble shaft and eagle, now known as The Venango County Civil War Monument, was dedicated September 10th, 1866, just sixteen months after the official end to hostilities between the Union and Confederacy. 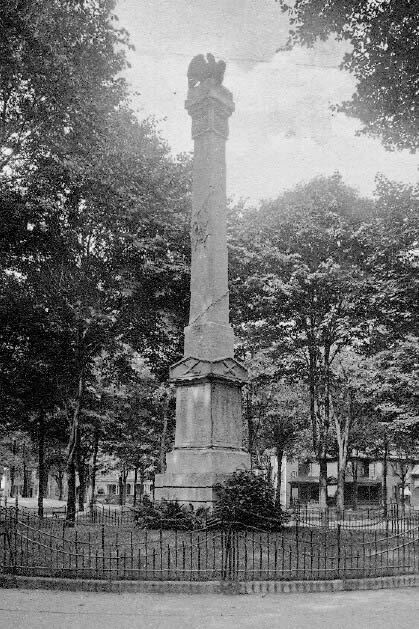 The Monument still stands in its original site of South Park in Franklin, PA, county seat of Venango, with the names of nearly four hundred men of the county lost in the war carved into its base. 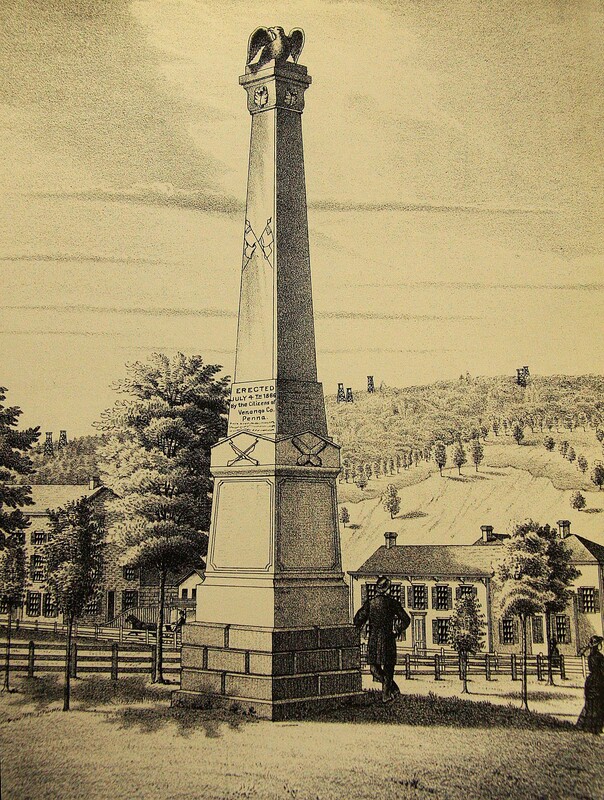 In 2012 the Historic Franklin Preservation Association contacted us with a request to survey and assess the monument in order to plan for its long-term preservation. 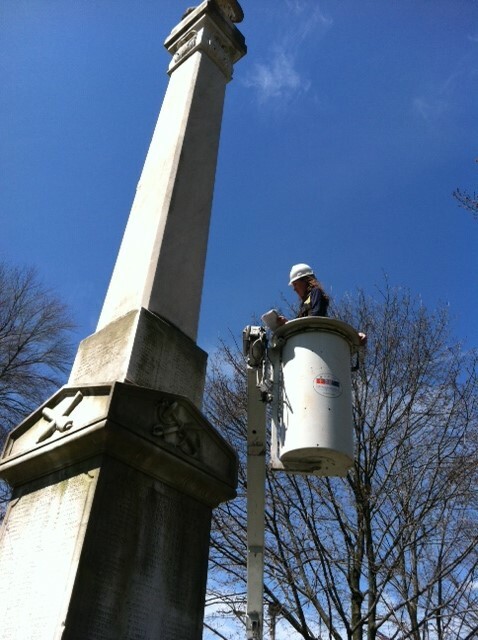 Our conservators spent a day on site assessing the overall condition of the monument’s marble eagle and shaft, brownstone base, and rubble foundation. 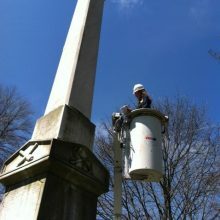 Deliverables included a fully illustrated conditions assessment report to aid in securing grant monies, as well as a budgetary cost estimate for the full restoration of the monument.